Out of all the places I have lived, I definitely think Manchester does eating out better than most places. It's so hard to stumble upon a bad meal, and some of the restaurants in the city are absolute must-visits in the whole nation - but we can talk about more of these another time! A few weeks ago after a long shoot day, Rebecca and I headed out for a catch up at my local - The Pen and Pencil. If you didn't know already, we used to be flatmates so every now and then we meet up, eat lots of food and have a big old catch up! 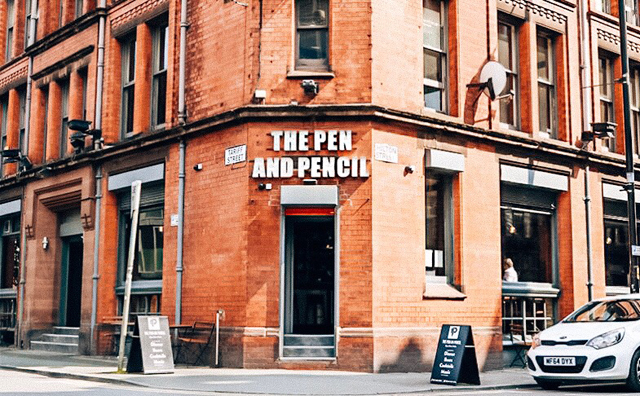 I've been coming to The Pen and Pencil for years, but have only eaten there once as part of their Christmas menu so it was on my list for a quite a while to try out their burgers after so many recommendations. 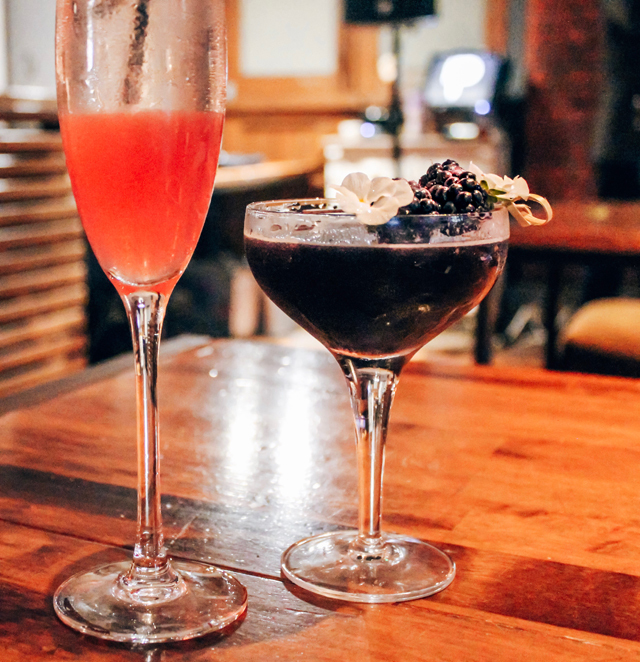 I love the atmosphere here, I come really often on a weekend for early evening drinks and they tend to have a DJ on who'll play classic artists like Bowie - so it's a really cool, typical NQ vibe and is great for cocktails. They actually had some new ones to try since my last visit which was great to mix things up with some new flavours (they even had glitter in them, KiraKira fans)! For me, it's not eating out without having a massive burger. I don't cook meat at home so it's such a treat for me to go all out with a giant beef burger and cheese (i'm dairy intolerant but I do it anyway). I was so pleasantly surprised at how huge my order was when it came out - and even more happy that the fries were skin-on fries. Anyone else feel like they're just 10x better that way? 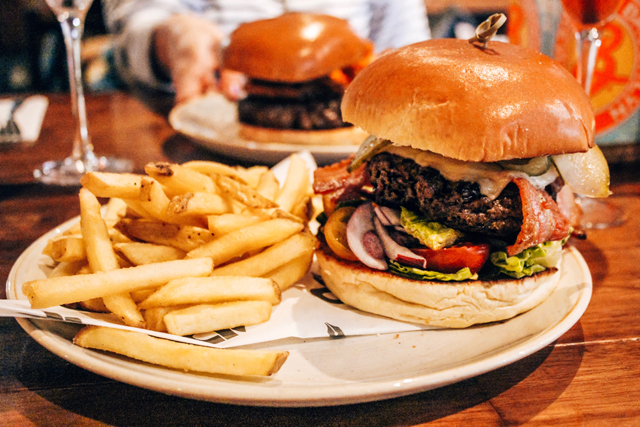 I had the 'Pen and Pencil Burger', but there's also steak (which I can vouch for), Octopus, lamb chops and some new veggie dishes to choose from, too! If you're around the NQ, i'd definitely recommend them for not only dinner, but brunch and early evening drinks before a night out!